COUILLARD DE LESPINAY, GUILLAUME, carpenter, seaman, and caulker, son of Guillaume Couillard and Élisabeth de Vesins, son-in-law of Louis Hébert; native of Saint-Malo or of the parish of Saint-Landry in Paris; b. c. 1591; d. 1663 at Quebec. Couillard married Guillemette, daughter of Louis Hébert, at Quebec, about 26 Aug. 1621. By her he had 10 children, and because of the numerous descendants of these children Couillard appears in the genealogy of almost all the old French-Canadian families. He had come to Canada about 1613 according to Champlain, who spoke highly of him in 1628. Couillard was one of the first to settle permanently in the colony. 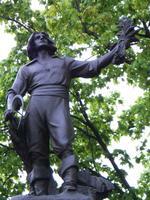 Louis Hébert, the first farmer, arrived at Quebec only in 1617. After his death in 1627, Couillard took over from him the farming of his lands, having inherited, through his wife, half of Hébert’s estate. 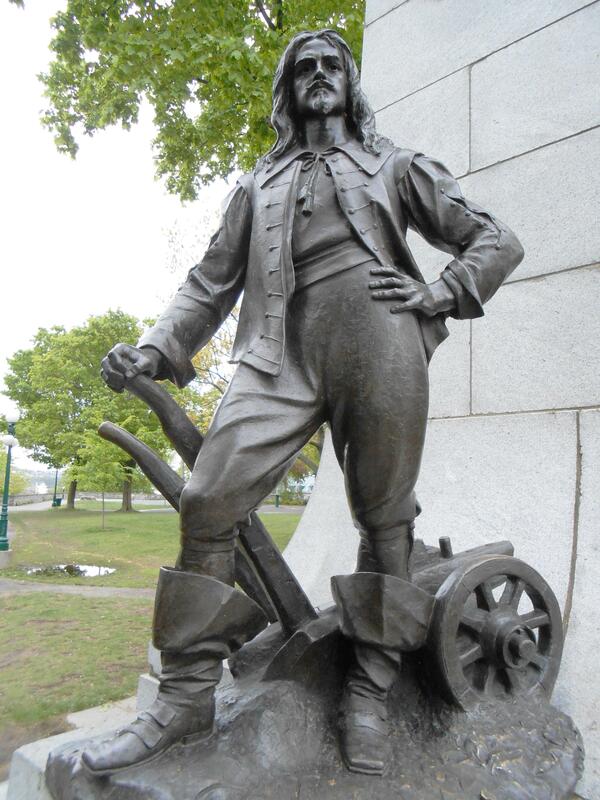 Moreover, in the same year (1627) Champlain also granted to Couillard, for personal reasons, “a hundred acres of land to clear and seed,” which bordered on the St. Charles River. By 1632 Couillard had nearly 20 acres under cultivation, and in 1639 he owned a flour mill. On 8 July of the same year Huault de Montmagny appointed him a “clerk responsible for inspecting the sown lands and the food of the settlers of Quebec.” He had been the first person to make use of a plough, in the spring of 1628. In 1643 he was making lime for the Compagnie des Cent-Associés. When Quebec was captured in 1629, Guillaume Couillard’s family was the only complete family that agreed to live under the occupation, and Champlain entrusted to it two young Indian girls, Charité and Espérance, whom he had adopted. 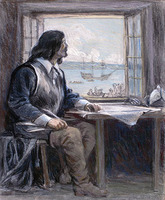 After the French returned in 1632 Couillard continued to work unsparingly for the colony and to be held in high regard generally: he took part in the defence against the Iroquois, frequently piloted boats between Quebec and Tadoussac, and became churchwarden of the parish, after having given a part of his land for the reconstruction of the church. Since he could not write, he used as his mark a most original little design, which appears on several historical documents that have been preserved. Guillaume Couillard died in his house on 4 March 1663 and was buried the next day in the chapel of the Hôtel-Dieu in recognition of the gifts made by him to that institution. Three years later his widow sold his house and a good portion of his land to Bishop Laval*, for the establishment of the seminary of Quebec. 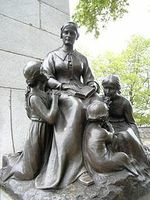 The site of the house is marked today by a cairn in an inside courtyard of the seminary, and Guillaume Couillard has his statue, the work of the sculptor Alfred Laliberté, near Louis Hébert’s monument beside the city hall of Quebec. ASQ, Documents Faribault, 20. Champlain, Œuvres (Laverdière), passim. JJ (Laverdière et Casgrain), passim. JR (Thwaites), passim. Couillard Després, La première famille française au Canada. Research done at the beginning of the 21st century indicates that Guillaume Couillard de Lespinay was born and baptized on 11 Oct. 1588 at Saint-Servan (Saint-Malo), in France, and that he was the son of André Couillart and Janne Basset. The absence of his parents’ names on his marriage registration, however, does not permit us to confirm his descent. Arch. Départementales d’Ille-et-Vilaine (Rennes, France), “Reg. 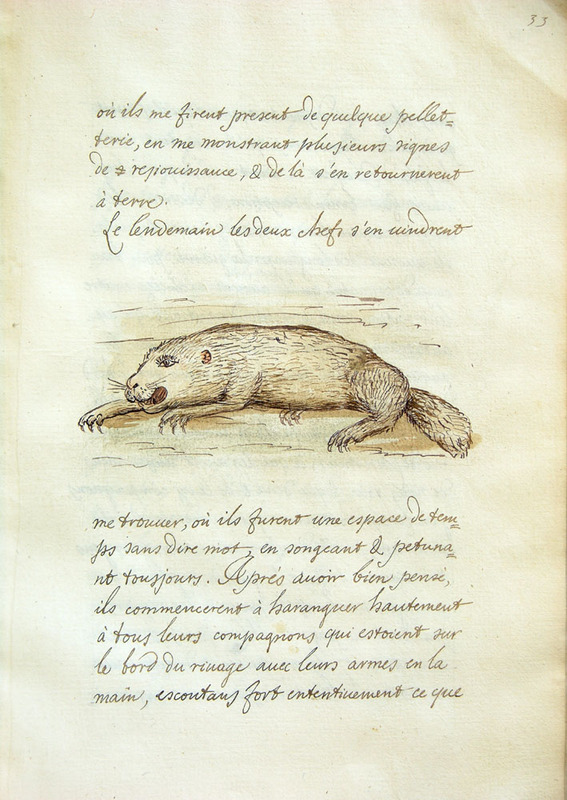 paroissiaux et état civil,” Saint-Servan, 1588: archives-en-ligne.ille-et-vilaine.fr/thot_internet/FrmSommaireFrame.asp (consulted 25 Aug. 2015). Bibliothèque et Arch. Nationales du Québec, Centre d’arch. de Québec, CE301-S1, 26 août 1621, 5 mars 1663. Marcel Fournier, Les Bretons en Amérique française, 1504–2004 (Rennes, 2005). 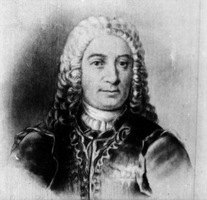 Michel Josseaume, “Les origines de Guillaume Couillard,” Soc. de Généal. de Québec, L’Ancêtre (Sainte-Foy [Québec]), 25 (1998–99): 125–26. Honorius Provost, “COUILLARD DE LESPINAY, GUILLAUME,” in Dictionary of Canadian Biography, vol. 1, University of Toronto/Université Laval, 2003–, accessed April 22, 2019, http://www.biographi.ca/en/bio/couillard_de_lespinay_guillaume_1E.html.